Roses and chocolate hearts for your sweetheart are, well, sweet, but why not go for something a bit more original this Valentine’s Day? Aim for a gift that’s as special and significant as your special, significant other. 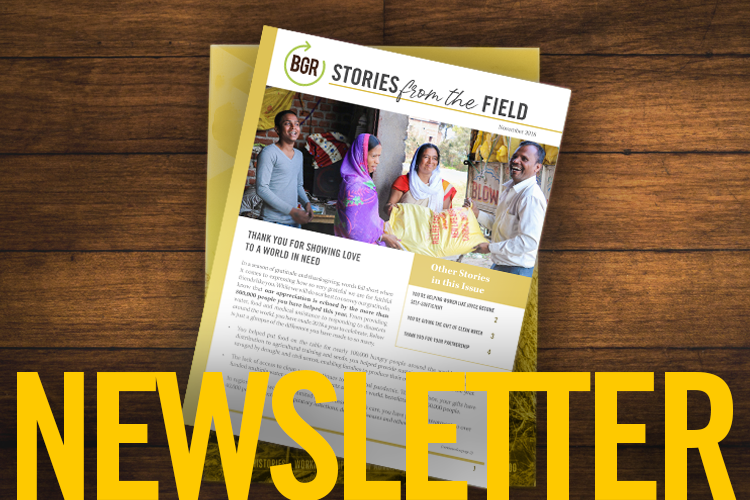 The BGR Gift Catalog is full of gifts that are literally life-changing to the recipients. Just imagine how good you and your other half will feel knowing that you put love into action and spread it around the world. Below are some clever gift ideas that will keep giving long after that last mystery chocolate has gone the way of the earth. 1. Forget a rose garden. Send a veggie garden instead! For less than the cost of a bouquet of roses, you can send seeds and training to a family in need so they can grow their own garden for food and income. Consider purchasing* a single stem of his/her favorite flower and present it with a note sharing how you have helped feed a family in his/her honor. No green thumb required! 2. Feel all the feels with a warm, snuggly blanket. As the Polar Vortex descends on the Northern Hemisphere, remember those around the world who will be cold and shivering this winter. Just $10 will send a blanket to someone in need. You could send two around the world and purchase* a wrap or throw for your loved one so they can remember how your love is warming the hearts and hands of people in need. 3. Double date! Send a pair of pigs to a family in need. Who says Valentine’s Day is just made for two? Be a power couple by sending a pair of pigs to a family in need. Pigs are some of the best generators of income and food. It just takes two to turn the lives of an entire family around. 4. Give a cuddly animal to love—no house training required. A puppy, kitty, or bunny seems like a sweet, romantic gift at the time. Then comes the maintenance! This year, make your sweeping gesture hassle-free by donating bunnies or chicks to a family in need in honor of your loved one! 5. If the fastest way to the heart is the stomach, get ready for warp speed! Everyone loves a home-cooked meal. This year, skip the crowds and overpriced specials on Valentine’s and make a special dinner at home while helping others do the same. With the money you save by opting out of a restaurant, you can send kitchen utensils to refugee families who have little, if anything, to cook with or in. Talk about a meal to remember! Don’t stop there. Let your creativity run wild as you flip through the BGR Gift Catalog, discovering gifts to share with others that represent everything you love about the special person in your life. As you put your love into action, you will undoubtedly be making this Valentine’s one to remember. *Please note that the flowers and blankets for your loved one are not available through BGR. You are responsible for purchasing these on your own.